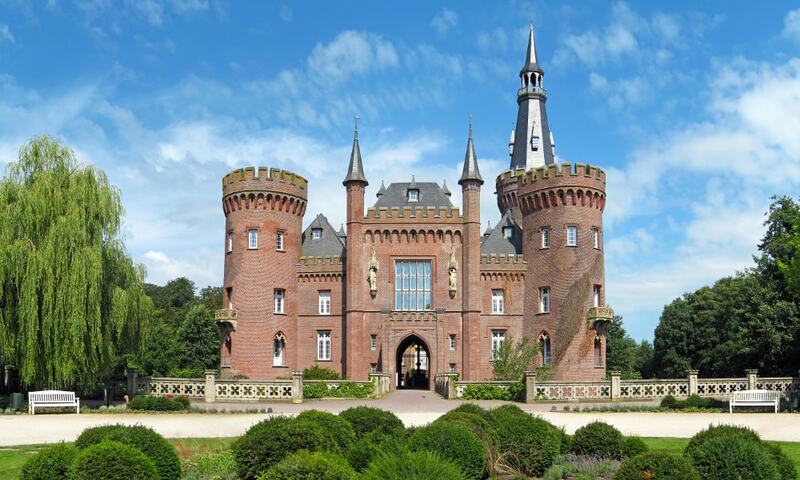 Moyland Castle is a moated castle and one of the most important neo-Gothic buildings in North Rhine-Westphalia. Its name derives from the Dutch word Mooiland which means "beautiful country". The building is now primarily a museum devoted to exhibiting the world's largest collection of work by artist Joseph Beuys. It is a popular destination on the Lower Rhine.